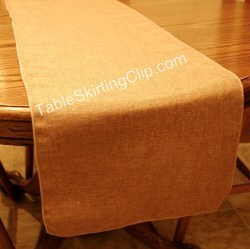 18" wide x 72" long Designer Faux Burlap Table Runner with square ends. Color: Natural. Made in USA. Serged on all sides.